Ah, the view from the top is lovely indeed. Excellent credit is an achievement that signals you have built a long and healthy credit history. As your reward, you get more lending options, lower interest rates, and, yes, higher credit limits. Indeed, it’s fair to say that there are more high-limit credit cards for excellent credit than there are for all the other credit types combined. That’s because a high credit score not only provides you with access to more high-limit cards, but it can also unlock higher limits on cards available to other credit types. Furthermore, excellent personal credit can even help you in your business life. Most small business credit card issuers check your personal credit upon application, and that high personal credit score can substantially boost your approval chances and your business card credit limits. When it comes to killer credit cards, the consumer market is full to bursting with options, especially when you have the excellent credit to qualify for just about any card you can find. Top-tier rewards cards, long-term interest-free offers, and high spending limits are just a few of the perks you can find with the right credit scores. Of course, your credit isn’t the only factor that goes into setting your credit line — nor are all excellent credit profiles treated equally. Two consumers with the same credit scores can be offered very different credit lines based on their incomes and specific credit profiles, with a preference toward higher incomes and longer credit histories. With simple earning and redeeming and flat rewards values, cash back cards are popular among those who don’t want to put too much effort into maximizing rewards. However, those same characteristics mean cash back cards aren’t the go-to picks for most big spenders looking to get the most bang for their buck. As a result, the credit limits found on many cash back cards aren’t going to reach the epic proportions of a high-end points card. However, good credit and a healthy income can still unlock some decent credit limits, with our top picks having reported limits up into the tens of thousands for some applicants. This is a good all-around cash back card with an unlimited 1.5% rate on every purchase. The typical starting credit limit was a modest $4,000, but some users reported credit limits as high as $24,000 at approval. If you have other Chase credit cards, you can potentially transfer some of your existing credit to this card to boost your spending power. 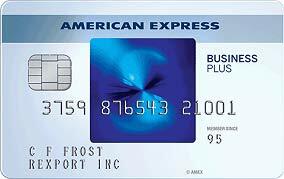 The Blue Cash Preferred® Card from American Express is a popular everyday card that offers a high rate of rewards for grocery store and gas station purchases. 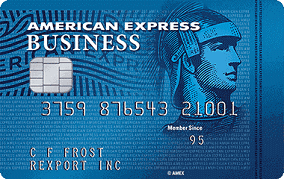 Amex is known for its high credit limits, and this card is no exception, with reports of starting limits over $10,000 not uncommon. As with many issuers, American Express regularly assess credit card accounts to see if the owner qualifies for a higher credit limit. Or, cardholders can request a credit limit increase every six months through their online account or by calling Amex customer service. Honorable Mentions: The Chase Freedom Unlimited®‘s sibling card, the Chase Freedom®, is worth a mention, as it has reports of similar limits. Capital One is also known to offer some decent limits, making the Capital One® Quicksilver® Cash Rewards Credit Card and Capital One® Savor® Cash Rewards Credit Card likely worth a look. It’s no coincidence that many of the top rewards cards, the best travel cards, and the cards with the most perks all happen to share one thing in common: points. The best points cards are versatile, flexible, and near bursting with value propositions, even despite the high annual fees that many carry. The lucrative nature of good points cards makes them sought-after by many cardholders with excellent credit, and these big spenders need big limits. Some of the best points cards have reported limits in the tens of thousands — with limits in the six figures not surprising for the consumers who meet the criteria. As a Visa Infinite® card, the minimum credit limit for this option is a whopping $10,000 — but that’s just the bottom rung. Reports indicate that users have received starting limits of $30,000 to $60,000, with rumors that the Sapphire card family can provide credit limits as high as $500,000 for high-value customers. 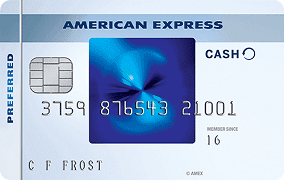 The American Express® Gold Card is a top-tier rewards card designed for consumers who can get full value out of its high-rate rewards categories. This is a charge card, so it has a variable credit limit, but many users report spending limits of $10,000 and more. The credit limit for a charge card can vary month to month, with the actual cap on how much you can spend depending on your income, current debt, latest credit scores, and general credit activity. You can check your spending power at any given time through your online account or by calling Amex customer service. Honorable Mentions: The Chase Sapphire Preferred® Card is an obvious mention as part of the high-value Sapphire family. 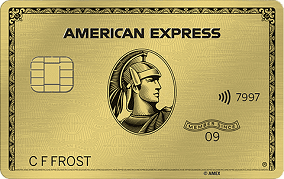 The American Express Platinum® and Gold® cards are also worth mentioning; as charge cards, they have variable limits, with spending power in the five digits frequently offered to qualified cardholders. Credit cards that earn miles are popular picks for travelers who can make the most of their rewards. Flexible miles cards are great for travel expenses that traditional rewards points don’t cover, and branded miles cards provide extras that can transform your trip. But, there’s only so much use you’re going to get out of a miles card if it has a low limit — especially if you like the four-digit luxury of business or first class. These miles cards have reported limits in the five-figures, offering spending power that can easily cover your next adventure. This popular miles card has the option to redeem miles for travel-expense statement credits or to transfer points to one of Capital One’s airline partners. Capital One is known for offering high limits to its most valued customers, and this card has reports of credit limits of $50,000 and up. One of only a handful of cards available in the U.S. that are solely branded by Barclays, this travel option offers flexible miles that are redeemed for statement credit for a variety of travel expenses. The card is specifically designed for excellent-credit consumers, and the average cardholder reports credit limits in the $5,000 to $20,000 range, but limits over $20,000 aren’t completely rare. Honorable Mentions: The Capital One® VentureOne® Rewards Credit Card may be worth a look if you’d like a no-fee card. And, if you have a favored airline, co-branded cards like the Citi® / AAdvantage® Platinum Select® World Elite™ Mastercard® or Gold Delta SkyMiles® Credit Card from American Express can offer decent credit limits and useful benefits. Credit cards with introductory 0% APR offers are great ways to finance large purchases and high-interest balances without worrying about interest fees. The best intro-APR cards have promotional periods of 12 months or more, giving you at least a year of interest-free financing. However, few things in the credit card world are as frustrating as finding the perfect intro-APR card for a big purchase or balance transfer — then finding that you weren’t given a high enough credit limit for your needs. With excellent credit, you’re more likely to get a decent limit, but picking a card known to offer big limits may improve your odds. Whether you want a low rate on new purchases or balance transfers, this card has you covered with a long introductory interest-free period. The data seems to show this card has a pretty clear relationship between credit score and credit limit, with $10,000 to $20,000 limits not unheard of and excellent-credit applicants reporting an average credit limit around $9,100. This card has a super long introductory period that applies to both new purchases and balance transfers, giving cardholders a year and half of 0% APR. It doesn’t provide the highest limits around — reported limits average around $3,000 to $5,000 in general — but cardholders with excellent qualifications can see limits in the $10,000 to $20,000 range. Honorable Mentions: Unfortunately, many of the credit cards with the highest limits are top-tier cards that don’t offer introductory interest rate deals. However, the Chase Freedom® and Chase Freedom Unlimited® may be worth a look, as could be the cards from the Discover it® family. Business credit cards can be ideal for both temporary financing and secure purchasing, while also often providing valuable rewards. But, a business card is only useful if it can actually keep up with your purchasing needs, making a solid credit limit a must for many business owners. Most business credit cards will require a personal guarantee, meaning you’ll personally be on the line for repaying the card even if your business can’t. As such, your credit limit will be based both on your business’ qualifications and your own personal credit. So, while excellent credit will help you get approved, low business revenue may mean a so-so credit line. At the same time, you can likely improve your chances of a larger credit line by selecting a card frequently associated with offering healthy spending power. When you’re playing the lively hat dance that is owning a business, switching from role to role as you work ’round the clock, often the last thing you want to do is waste time trying to squeeze every last cent of value out of your credit card rewards — or, for that matter, worry about them at all. Cash back credit cards provide simple value that doesn’t require a lot of fuss, making them ideal for busy business owners. As with consumer cards, the business cards with the highest limits are usually in the points realm, but you can easily find some five-figure limits on our top cash back cards below. 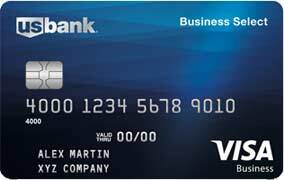 This is a solid all-around business credit card with bonus cash back categories that can be of use to nearly any type of business. The typical credit limit reported for this card is in the $7,000 to $12,000 range, but you can also find reports of initial spending limits as high as $20,000. The SimplyCash® Plus Business Credit Card is a solid rewards card that offers big rewards for office supplies, wireless phone services, and a category of your choice. With reports indicating an average credit limit around $15,000, the card isn’t for companies with high-volume expenses, but it should work well for most small businesses. In addition to offering a high starting limit to many cardholders, this option may allow you to make purchases above your credit limit, with the amount you can spend over your limit varying based on factors like your payment history and current revenue. Honorable Mentions: Although they have fewer reports of high-limit approvals, the U.S. Bank Business Cash Rewards Card or the Discover it® Business Card may be worth a look. The Capital One® Spark® Cash for Business from our Intro-APR section below is also reported to offer high limits to qualified business owners. Although they vary a lot by the program, the best points rewards are a highly versatile currency that can often be strategically used to provide per-point values of 1.5¢ or more. It’s this ability to generate huge rates of return that make points rewards popular among consumers and business owners alike. Many of the top-tier points cards offer high rewards rates that appeal to businesses with lots of spending, which means these cards often have equally high credit limits to accommodate all that purchasing. Our top picks here often have limits in the tens of thousands of dollars. Easily one of the top business credit cards, this card offers the popular Ultimate Rewards® points, including bonus points in useful categories like travel, shipping, and advertising. Qualified applicants can do a lot with their card, too, as it reportedly offers credit limits in the $20,000 to $40,000 range for business owners that meet the criteria. The U.S. Bank Business Edge™ Select Rewards Card is great for users looking to maximize rewards, as it allows you to select your own bonus category. It can also be a good pick for high limit seekers, as reports of starting limits between $12,000 and $18,000 are common and the bank is known to offer regular increases. Allowing you to select your own bonus rewards already helps this card stand out, but the options are what make it unique: Each bonus category includes up to half a dozen merchants types. For example, if you select the Day-to-Day Expenses category, you can earn triple points on shipping, advertising, utilities, office supplies, telecom service, and select professional services. Honorable Mentions: If you want a card with a credit limit as variable as your expenses, a charge card from American Express — like the Business Platinum® or Business Gold® — may fit the bill. Your credit limit will vary each month based on your revenue, card use, payment history, and other factors. In the business credit card world, the majority of travel cards earn more versatile points rather than miles — but there are a few exceptions. A handful of flexible miles cards are available that allow you to redeem miles as statement credit for travel expenses. If you’re loyal to a particular airline, you can also find airline co-branded cards that allow you to earn frequent flyer miles on your business purchases. Whatever type of miles card you choose, be prepared for limited spending power from most of the choices; funnily enough, few miles cards are known for their sky-high limits. This card offers decent flat-rate earnings, providing users with 2X miles per dollar on every purchase. Miles can be redeemed for statement credit or transferred (typically at a ratio of less than 1:1) to a partner airline. Credit limits seem to be all over the board with this card, and reports indicate that a $7,500 limit is a decent achievement. 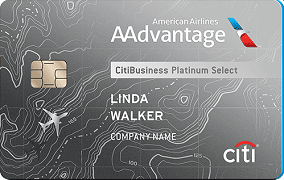 The CitiBusiness® / AAdvantage® Platinum Select® World Mastercard® allows cardholders to earn miles on every purchase in addition to receiving special perks, such as a free checked bag on American Airlines flights and preferred boarding. The typical credit limit is in the $5,000 to $10,000 range, while some users report having limits of over $20,000. Honorable Mentions: Most major airlines have their own co-branded credit cards, many of which come with business card versions. For example, you can check out the Delta Reserve® for Business Credit Card from American Express if you’re a Delta fan, or the Southwest Rapid Rewards® Premier Business Credit Card for Southwest Airlines purchases. No matter the industry, businesses cost money, and, in many cases, those expenses can come in waves — and, unfortunately, so can your revenue. Credit cards with introductory 0% APR offers can be a good way to finance a larger purchase when you need a little extra time, or even a good way to reduce the interest you’re paying on other balances you’ve already accrued. Of course, an interest rate offer is only useful if the card can accommodate the expenses, and low credit limits can turn a great offer into a complete dud. While business cards that offer 0% APR deals generally aren’t going to have the highest limits, applicants with excellent credit and decent income can find cards with spending limits in the $10,000 to $20,000 range. The third and newest card in the Chase Ink card family, this option is designed for consumers who like flat-rate rewards without categories to track or manage. As a newer card, there are fewer data points on credit limits, but the reports that do exist suggest limits in the $10,000 to $15,000 range, similar to the other cards in this family. 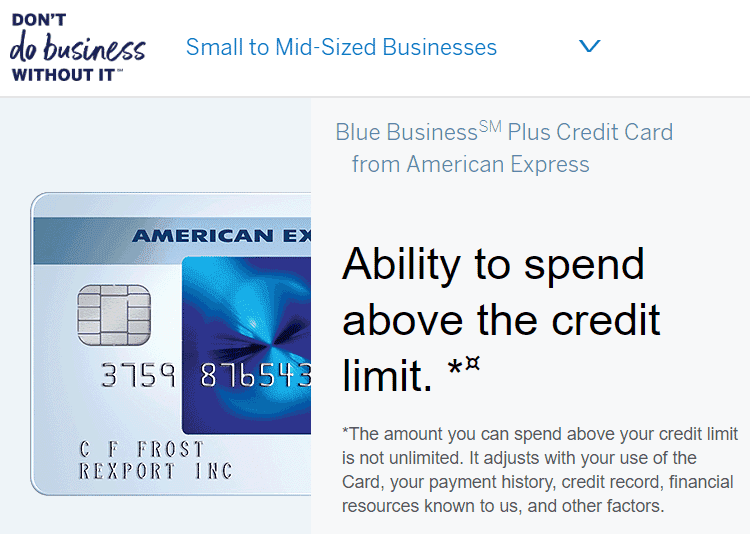 The Blue Business Plus Credit Card from American Express has a long intro-APR period of 12 months that applies to both new purchases and balance transfers (transfers must be made within the first 60 days). 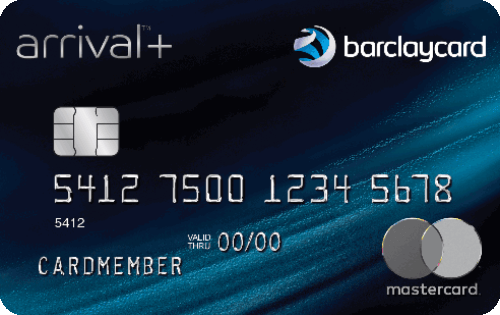 Reports of credit limits for this card are sporadic, but they point toward limits on the lower end, with a $9,000 limit considered to be a solid starting limit. This card can be a particularly good pick for businesses with expenses that don’t fit into popular categories, as it offers 2X Membership Rewards® points per dollar on every purchase (up to the yearly cap). Membership Rewards® are versatile points that can be transferred to hotel and airline partners for high-value redemption. Honorable Mentions: As is the case with consumer cards, most business cards with high rewards and high spending limits aren’t going to offer very good (or any) introductory interest rates. However, the fee-free Chase Ink cards are both solid picks, and the Bank of America business cards can reportedly provide decent limits if you do a lot of business with the bank. How Do Issuers Decide Your Credit Limit? If there were some simple system used by every issuer to determine credit card limits, you’d never again have to wonder about which card to select or what your limit will be. Unfortunately, in the real world, every issuer has its own internal metrics for setting credit limits — metrics that can be based on any number of factors. Your credit profile: This is arguably the most important factor in your credit limit decision, and most credit cards show a direct relationship between applicants’ credit scores and their initial credit limits. Your payment history, in particular, will be of extreme interest in this regard. Your income / revenue: Legally, credit card issuers need to make reasonably certain that you can afford to make the payments on any credit line you’re given. As a result, your income (and/or business revenue, for business credit cards) will also directly impact the credit limit you’re offered. For example, if two applicants have the same credit scores, the one with a higher income is more likely to receive a higher credit line. Your card use: While it can’t impact your initial credit limit, the frequency with which you use your credit card — and the amount of money you spend and pay off in the process — will have a big impact on your future credit limit increases. Regularly using your card will typically give you a better chance of receiving credit limit increases over time. Your current credit limits: Each bank will have a specific amount of credit it is willing to lend any given customer. If you already have a number of credit lines with that bank, you may not receive the top credit line due to being at or near the maximum the bank is willing to extend. Reallocating existing credit can sometimes solve this issue. Of course, these aren’t the only factors that issuers will consider; everything from the number of credit lines you have to your current debt load can impact your initial credit limit. That said, excellent credit and a solid income are certainly important tools for obtaining high credit card spending limits. Choosing the right card is also key. Similar to the APR ranges most credit cards have, many cards also have set credit limit ranges from which your actual credit limit is selected. That range is set by the issuer in most cases, though the network can also influence this range. For example, a Visa Infinite® credit card will generally have a minimum credit limit of $10,000 regardless of the issuer. Beyond the network-influenced minimum limits, the credit limit ranges for most cards are rarely published. This means that anecdotal evidence — e.g., forum posts and card reviews — are the only real way to see what kind of limits a card will offer. What is a Good Credit Limit? Another side-effect of issuers’ refusal to publish credit card limits is that it’s very hard to tell whether the credit you were offered is a low-ball figure or a good deal for that particular card. A $500 initial limit for a starter credit card might be a decent offer, for instance, while the same limit on a mid-tier rewards card may be the bottom of the barrel. As a basic rule of thumb, if the credit limit you’re offered is suitable for your needs, then you can probably just consider it a good credit limit and move on with your day. After all, as long as you can make the necessary purchases without your utilization rate skyrocketing, you’re probably in good shape. If you want a more complete comparison of your credit limits with those of other cardholders, you’ll need to start digging into credit card reviews and cardholder forums. For example, the myFICO.com forums can be a good place to start, and the customer reviews on Credit Karma frequently provide credit limit data points for comparison. You can use consumer review sites, like Credit Karma, and forum posts to get an idea of what credit limits other cardholders have been offered. Just make sure you don’t get yourself worked up by effectively comparing apples to oranges. If your credit score is great but your business revenue is very low, for instance, don’t compare your credit limits to those of a business owner with revenue in the six figures — you won’t win that game. Can You Increase Your Credit Limit? The easiest way to get a credit limit increase is to simply use your card — and wait. The majority of issuers will proactively increase your credit limit over time. In many cases, you’ll simply log into your account to find that your credit limit has increased since the last time you checked. Unsolicited credit limit increases won’t result in a hard credit pull and should have no impact on your credit scores. Issuers are most likely to give you an unsolicited increase when you use your card frequently and/or make — and then pay off — large purchases. If you don’t want to patiently wait for an unsolicited increase, you can usually request a credit limit increase directly from the issuer. Many issuers allow you to request an increase through your online banking account or mobile app, but you may need to call the issuer’s customer service line in some cases. Requesting a credit limit increase will typically result in a credit inquiry of some sort; some issuers will simply use a soft pull, while others will perform a full hard inquiry to evaluate your request. Most issuers have restrictions regarding how long you need to have a card before you can request an increase, and how often you can get a credit limit increases overall. In general, you’ll typically need to have a card for at least six months — and have paid your bill on time all six months — to qualify for the first increase. The third way to get a credit limit increase doesn’t increase your overall available credit, but it can give you a higher credit line on one card. That’s because you can sometimes reallocate credit from one card to another, provided you have multiple cards with a single issuer. You’ll likely need to call your issuer to reallocate your credit lines. What Happens If You Go Over Your Card’s Limit? Not long ago, it was all too common for cardholders to get hit with over-limit fees as they unwittingly swiped their way past their credit card spending limits. As with many expensive practices of the days of yore, however, the Credit CARD Act of 2009 put an end to much of that danger. Among many other changes, the sweeping collection of legislation changed the law to require credit card issuers to decline transactions that would put a cardholder over their limit. In the post-CARD-Act era, cardholders must opt-in to allow over-limit transactions for issuers to allow the purchases and then charge over-limit fees. That single law change was said to have saved cardholders billions in fees. Without opting into over-limit purchasing, trying to make a transaction that would put your balance over your credit card limit can have one of two results. Either the transaction will be declined at checkout, or the issuer can decide to allow the transaction to proceed without charging you a fee. Although some issuers have hard and fast rules — Bank of America reportedly always declines over-limit transactions — most issuers will tend to treat it on a case-by-case basis. If you have excellent credit and a good payment history, your transaction is more likely to be approved. Some cards have flexible spending limits that allow you to purchase above your limit without fees. Even if you won’t be charged an over-limit fee, however, there is another important consideration before going over your credit limit — or even getting very close to your limit: The impact it can have to your credit scores. One of the most important factors in your credit score looks at your current debts, including the utilization ratio (how much credit you are using over how much you have available) of your credit cards. For example, if your credit card credit limit is $5,000, and you have a balance of $2,500, then your utilization rate is: $2,500 / $5,000 = 0.50 = 50%. A high utilization ratio is considered to be a sign of potential financial trouble, and it can cause your credit scores to drop by a significant amount. On the other hand, paying off your balance will typically decrease your utilization rate within 30 days, as most issuers report your card balances at the end of each statement cycle. Do All Cards Have Spending Limits? This is one of the many finance questions that have a simple answer — and a not-so-simple answer. In simple terms, yes, all cards will have some sort of limit that restricts how much you can buy. That limit may be $300, or it may be $300 million — but that limit is there. However, here comes the complicated part of the answer: NPSL (no pre-set limit) cards. Basically, NPSL cards have variable credit limits that can change from month to month, or even from transaction to transaction. In general, only charge cards are considered to be fully NPSL cards (charge cards are non-revolving credit lines that usually need to be paid in full each month). However, a large number of credit cards can have flexible spending limits that allow you to go over your published credit limit. For both cases, your spending power at any given time will usually be based on a variety of factors, including your income, payment history, and current balances. Issuers of NPSL cards will often provide tools in their online banking interfaces that allow you to check your spending power before making purchases. In practice, the main difference between a charge card that really has no pre-set spending limit and a credit card with a flexible limit is how the cards impact your credit scores. Specifically, it’s how the cards do — or don’t — impact your utilization rates. Charge cards that really have no set spending limit can’t be included in calculations for your utilization rate, since determining utilization requires knowing the available credit limit. These cards are usually reported as open credit lines, rather than revolving credit cards. 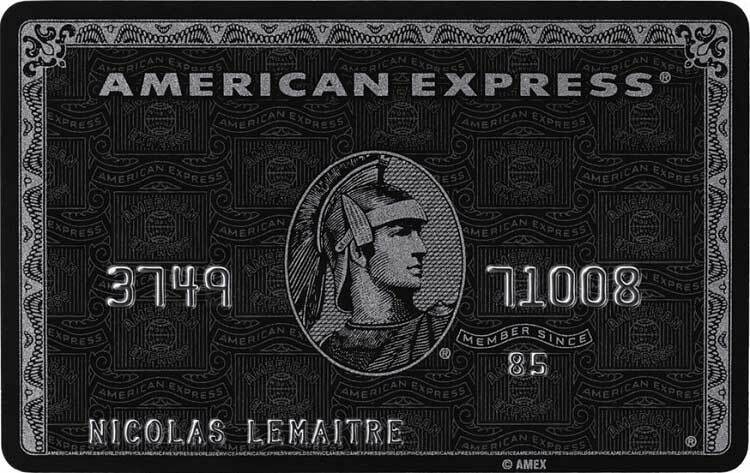 Charge cards, like the infamous American Express Centurion Card, have no pre-set spending limit, which can allow cardholders extensive spending power. This makes NPSL charge cards good choices for large purchases that you don’t want to impact your credit scores. Conversely, credit cards with flexible spending policies will still typically have predetermined credit limits that can — and will — be reported to the credit bureaus, along with your balances. These cards will be included in credit utilization calculations and can, therefore, impact your credit scores. What is the Highest Possible Credit Limit? Americans love credit cards. We have an average of 2.5 cards per person, carry around $4,300 in credit card balances each, and have an average of $20,000 in available credit. For consumers with excellent credit scores, this means a typical credit card limit of more than $11,000 per card. As we’ve noted in the card sections above, some of your everyday credit cards can provide credit limits of $20,000, $50,000, or even $100,000 to applicants with great credit, spotless payment histories, and high incomes or business revenues. But even a six-digit credit card limit can seem small compared to the spending power of the rich and famous. In fact, if you have enough money — and enough clout — you can swipe your trusty plastic (or platinum, or gold) card for purchases in the hundreds of millions. These big-ticket buys are most likely made with charge cards that have no pre-set spending limit; these cards have variable limits that depend on factors like your income, your payment history, and your current balances. In theory, charge cards with no set spending limit can be used to make nearly any size purchase. In practice, of course, every card has a limit — but sometimes that limit can feel limitless. Is There a Downside to a Large Spending Limit? In today’s financial landscape, having excellent credit is an achievement that can make your life much easier — and less expensive. And while you don’t need to be a big spender with a large income to build excellent credit, well, it doesn’t hurt. Similarly, you don’t actually need a six-figure income to be offered a five-digit credit line from your credit card issuer — but it doesn’t hurt. In either case, by the time you’ve made it to the excellent credit stage, you likely have the skills to handle that credit line wisely. Though, perhaps, not everyone does. One of the most common arguments against having a large credit line is that you’re then more inclined to use that extra credit. Without a solid plan to repay the balance, a larger credit line can potentially turn into a whole lot of debt. So, if you’re going to look for a card that offers a high credit limit, be smart — make sure you can pay off any balances you accrue. No matter your credit limit, always keep up those positive credit habits that earned you an excellent score in the first place.